Moving in or our of the Seattle area? Our network of moving companies can help. Bekins’ moving agents are the professionals you need for a worry-free move. Get a free ballpark estimate to get an idea of the cost of your move so you can start planning and budgeting today. Want more information about moving in the Seattle or Tacoma area? Bekins Van Lines has been delivering peace of mind for 125 years. Whether you are moving within Seattle, down the coast, or across the country – we’ve got you covered. Experience the moving difference with Bekins and let us take the stress out of your relocation. Bekins has been moving families like yours for 125 years. We have the experience you need to make sure that your move is a successful one—and we provide a personalized touch to help make it worry-free. Bekins’ moving network includes the entire state of Washington. Get to know our professional movers who are ready to move you. With over 110 years of experience, we strive to provide high quality moving services throughout the state of Washington. 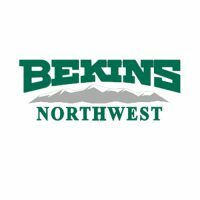 Bekins Northwest has eight locations, with three of those in the Seattle-Tacoma area. Merchants Moving & Storage has moved residents of Kitsap County for years. Our movers are trained to make your residential or business move successful. Sound Moving & Storage specialize in local and long distance moving services. Bekins’ moving agents are registered with the Department of Transportation, we we can handle out of state, cross country, and long distance moves. With a moving network of 350 agents, we can move you wherever life takes you. Our long distance moving services include a move coordinator who is your single point of contact throughout the moving process. Through our moving experience, we have learned when you have one point of contact, your move is stress-free. If you are ready to start the moving process, request a free moving quote or give one of our professional moving agents a call. A ballpark estimate is the first step of the moving process. For an even more accurate estimate, we can send one of our agents to your residence for a free in-home estimate.